The first is privacy. Although the European Union’s far-reaching General Data Protection Regulation (GDPR) goes into force on May 25, it will not offer any protection for non-Europeans. 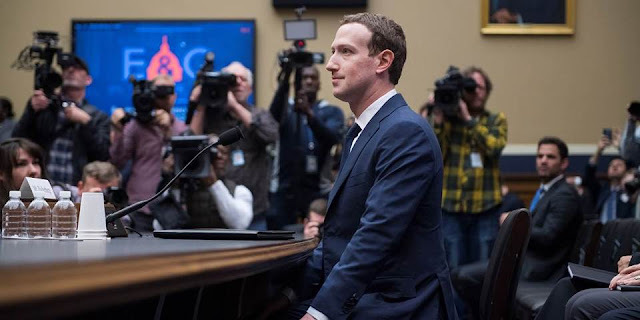 In the case of Facebook, that translates into 1.5 billion users, almost all of whom have clicked to agree to the company’s terms of service without having read them. There are currently proposals to require tech companies to obtain an affirmative opt-in from users before collecting their data, and to allow users to retrieve or erase their data easily. How customers and companies, including new entrants, would react to such rules remains to be seen. To collect more data, firms might offer users inducements beyond the putatively free services they already provide, and that may or may not slow down the pace at which they can enhance services or add newfeatures. The second issue is market power. In the early years of the Internet, an infant tech industry pled for a hands-off approach to regulation and taxation. But now, the four largest US firms by market capitalization – Apple, Google, Microsoft, and Amazon – are all tech companies (as of this writing, Berkshire Hathaway had edged out Facebook for fifth place). Devising sensible policies on this front will require that we first define the market, and then decide what level of concentration, and over what time frame, constitutes a threat to competition. A third issue concerns the control of information. Owing to the convenience and addictiveness of smartphones and social media, many people now get news exclusively from online platforms like Facebook. And yet the microtargeted advertising model used by Google and Facebook has disrupted print journalism’s traditional source of revenue, along with coverage of state and local governments. With China expanding its cyberwarfare capabilities and investing in vital telecom infrastructure, the US government recently saw fit to bar US firms from selling components to the Chinese telecom giant ZTE. In response, China is now holding up the US chipmaker Qualcomm’s acquisition of the Dutch semiconductor firm NXP.